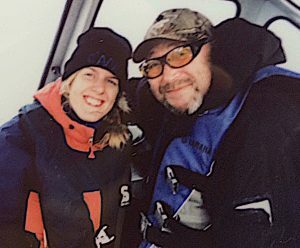 Today (August 27) Mareike and I want to measure and sample the waters at the Mackenzie River Mouth with a local fisherman, Charles Pokiak, and his boat. We had made first contact on Sunday afternoon and Charles and Bill immediately got along. So, we arranged a boat trip for the next day. Charles is very worried about the ongoing coastal erosion. 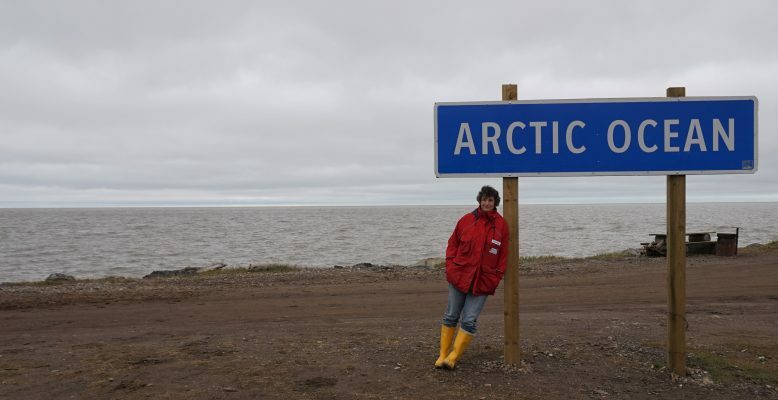 One Pingo we passed was already “cut” into half by the sea. Pingos are small hills formed by below ground ice pushing up the soil above. The estuary is very flat, thus only the Pingos can be seen from “above” the sea, like huge mushrooms! For marine researchers who are used to big research vessels, the 6 m boat seems to be rather small. But its powerful 125 horsepower machine and its low draft make it perfect for the shallow coastal waters here. And inside the “cabin” there is enough space for us and our equipment. 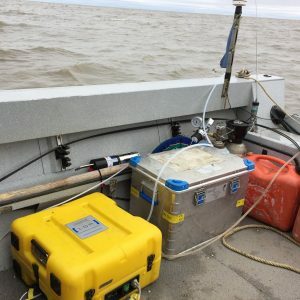 We set up our sensors to look for methane gas bubbling sites in the coastal waters of the Beaufort Sea and sample for water chemistry and geological parameters. 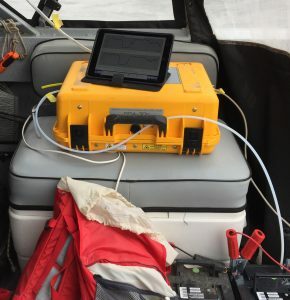 While our sensors were outboard measuring automatically, we also took water samples by hand. In the afternoon, the wind increased and we had to retrieve our sensors in order not to lose them. 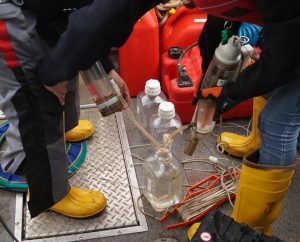 Nevertheless, we kept on taking water samples inside the river plume to find out if the river is transporting methane into the coastal waters. On our way back, the wind increased even more and after 1 hour of bumpy sailing we were happy to return to shore.